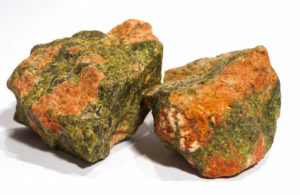 Properties: Unakite is primarily epidote (the green colour), and holds the cleansing, balancing and detoxifying qualities of epidote, amplified by quartz, and balanced by the inclusion of pink feldspar. 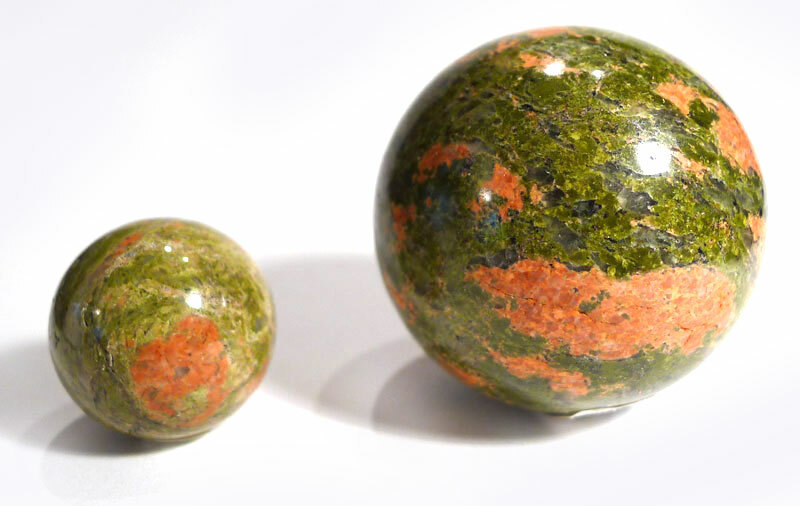 Although not necessarily aligned to gender, it makes an excellent hormonal balancer for women in various stages of life: it can enhance fertility, give support during pregnancy, and stabilise some of the more uncomfortable symptoms of menopause, such as hot flushes. 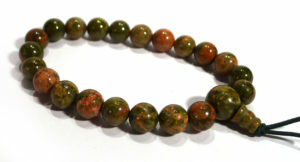 It is useful in the treatment of autimmune diseases and diseases affecting the immune system, such as ME and CFS. 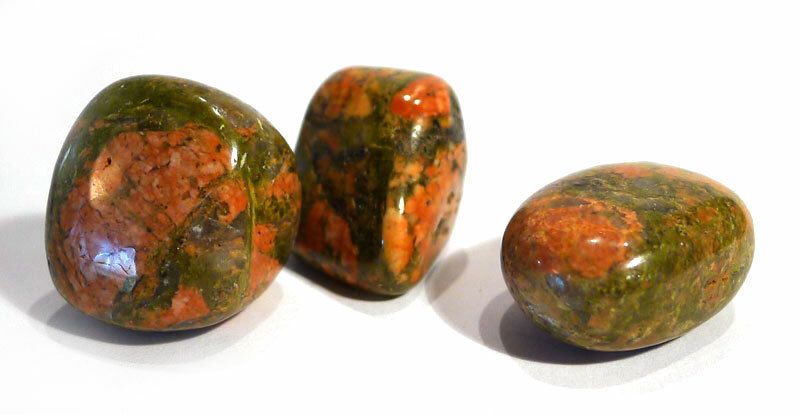 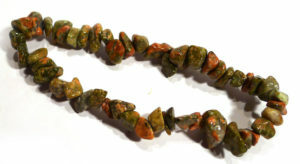 Unakite is one of the few minerals that seems to calm nausea and dizziness.